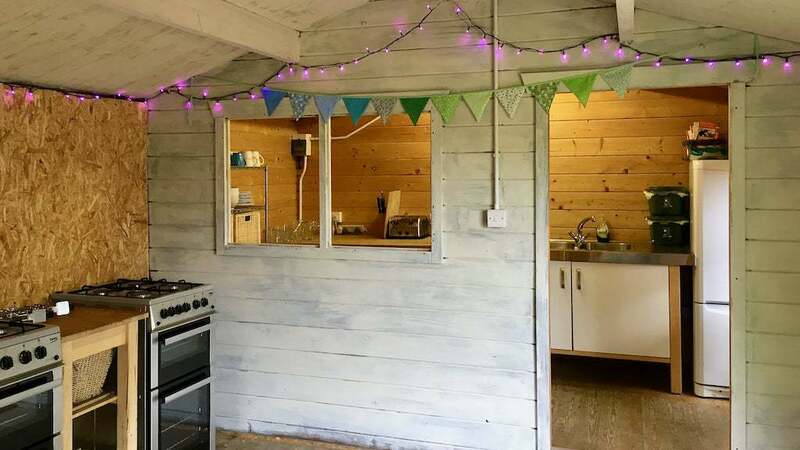 In a separate paddock next to yurt field you will find our log cabin kitchen. 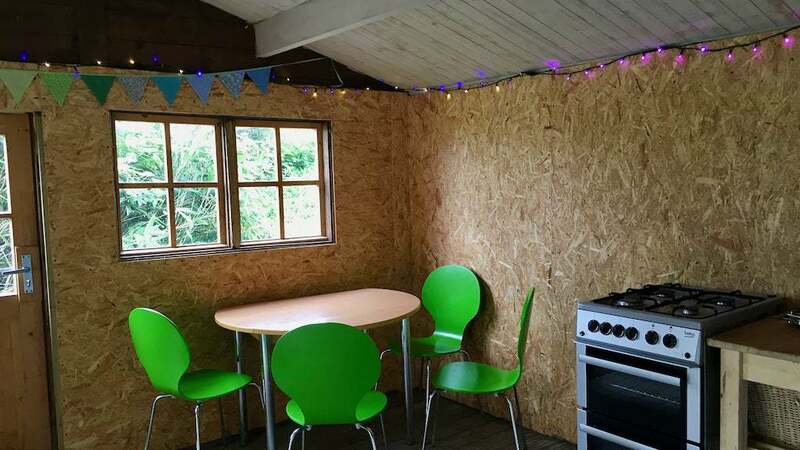 The kitchen is always open and ready for you to use whenever you want during your yurt holiday. The kitchen is fully equipped with all the crockery, cutlery, pots, pans, cups and glasses you should need. Each yurt has its own fridge and there is a small freezer which can be shared. There are two gas cookers and we also provide a kettle, toaster, washing up liquid, dish cloths and tea towels. There are baskets for carrying items up to your yurt or for storing food. The kitchen cabin also has a covered veranda with bench seating and a large refectory table. 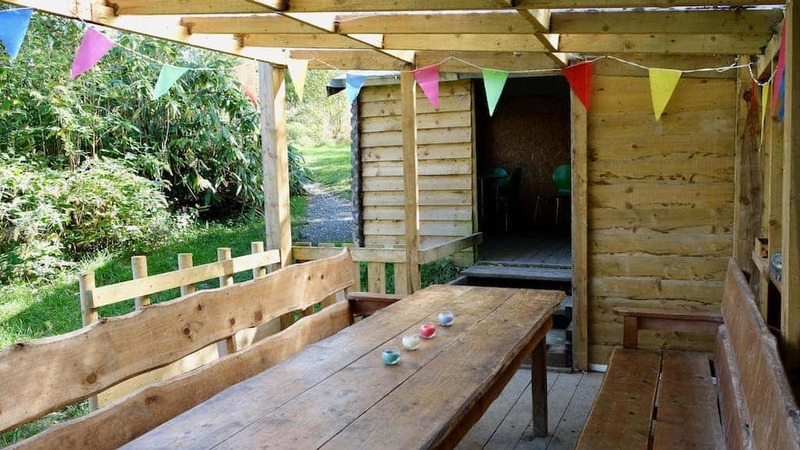 Outside each yurt is a BBQ, picnic table, benches and the all important campfire pit – yes, your very own fire pit, so you don’t have to share your marshmallows with the other campers unless you choose to. 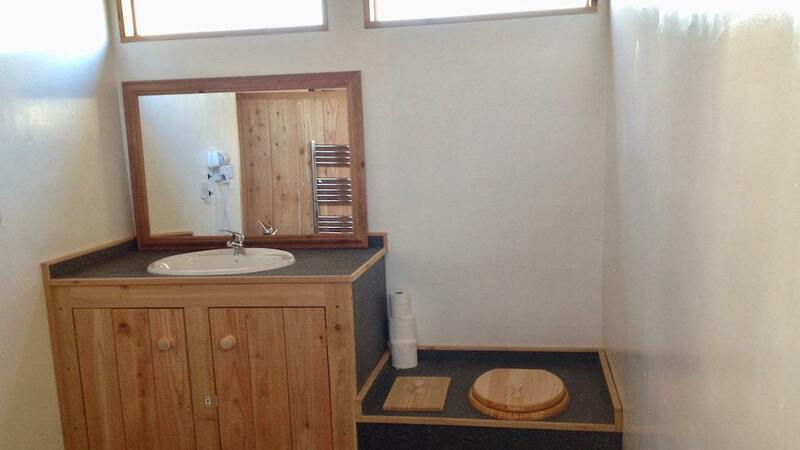 We have built a large heated shower and toilet cabin – big enough to shower all the children in one go!. This is situated just outside the yurt field. 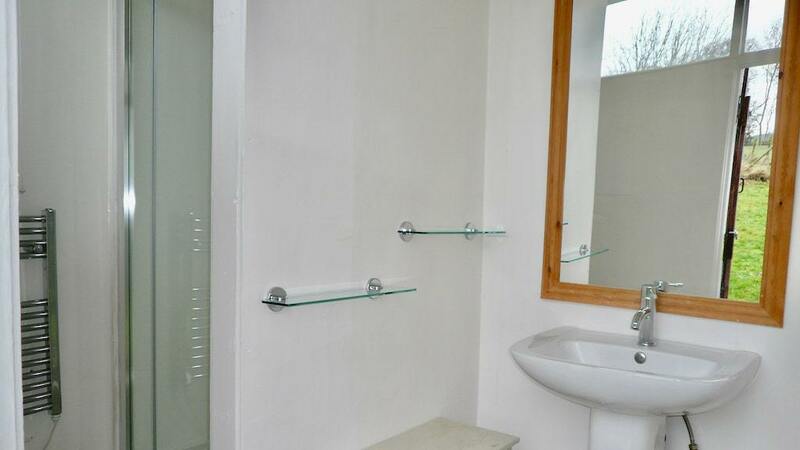 Inside is a large walk in electric shower, heated towel rail, heater, sink with hot and cold water, a hairdryer, full length mirror and our newly designed compost loo. If you have never used a compost loo before then don’t be scared, it’s just like a normal loo only without the flushing! 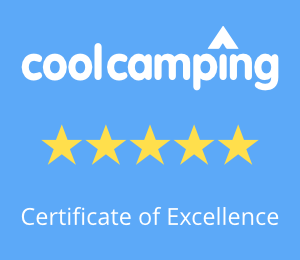 We also have a second separate shower and washroom close to the cabin kitchen, which is also heated and has an electric shower, heated towel rail, sink and a hairdryer. 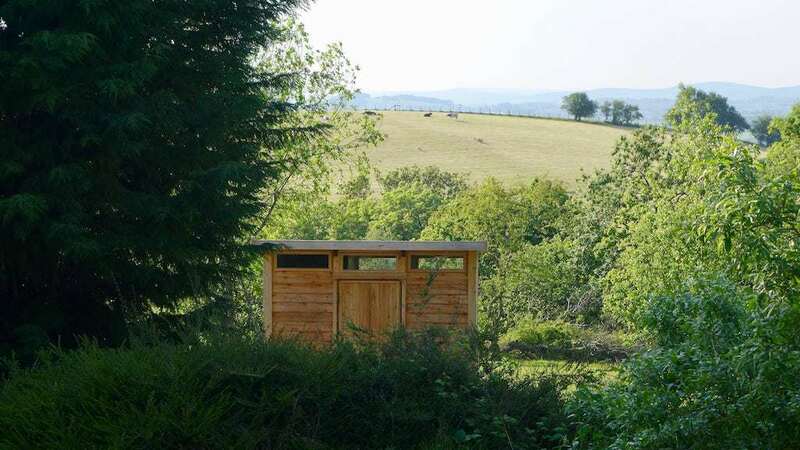 Plus there is a second compost loo at the bottom of the yurt field. These are all shared facilities for which we provide loo paper and hand wash so that’s one less thing to pack. 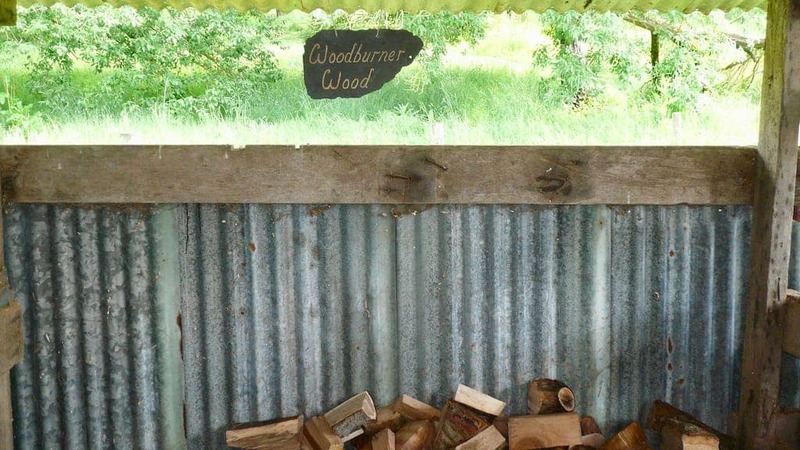 Our large well stocked woodshed contains all the wood for the woodburners in the yurts and campfire pits outside each yurt, plus kindling, wheelbarrows and canvas bags for carrying the wood up to your yurt. 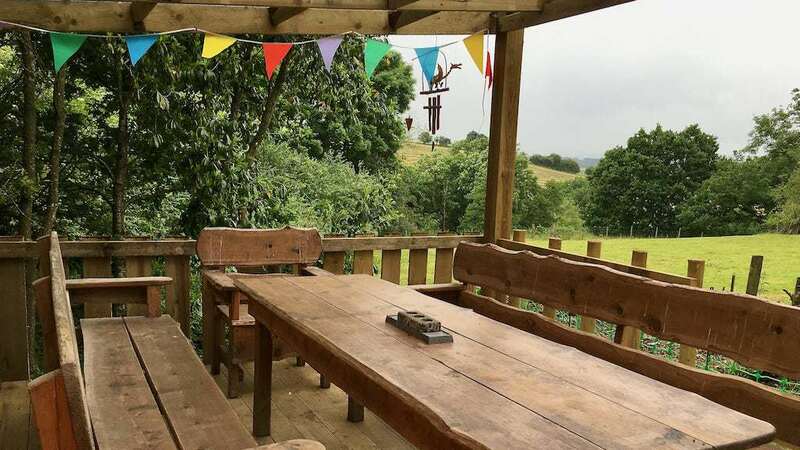 And remember, unlike most other yurt holiday campsites there is no charge extra for wood or to use of any of the facilities so you can relax in the knowledge that once you arrive the only thing you risk burning is the sausages on the BBQ and not a hole in your pocket!